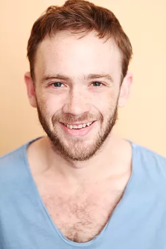 Austin Tindle is a writer and actor living in Dallas, Texas. He was born in Orlando, Florida, raised in Austin, Texas and attended the University of Texas at Dallas on an academic scholarship, where he almost became an electrical engineer. At 19, he was cast as Romeo and changed majors the same day. He has spent over a decade performing professionally on stage in Dallas, Texas, but he's probably most well-known for his work with Funimation Studios, where he has voiced many characters including: Marco Bodt (Attack on Titan), Karma Akabane (Assassination Classroom), Avilio Bruno (91 Days), Seborgia (Hetalia), Raspberry (Dragon Ball Z), Accelerator (A Certain Magical Index, A Certain Scientific Railgun), Ichirohiko (The boy and the Beast). You can also hear him voicing leading roles in many shows including: Is This a Zombie, Guilty Crown, D-Frag, Gonna Be The Twin-Tail, Prince Of Stride, Prison School, Tamo No-Rin, ACCA, Mariah the Virgin Witch, Snow White with the Red Hair, Trickster, Shangri-La, and many more. You can currently hear him voincing the role of Ken Kaneki in Tokyo Ghoul, every Saturday at 1am on Cartoon Network.